Free Hardware Organizer template for Organizer Deluxe and Organizer Pro users. 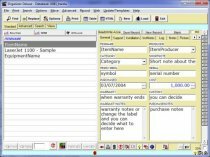 Complete database template helps you to organize and manage data about work done by your personnel on any new equipment and hardware. 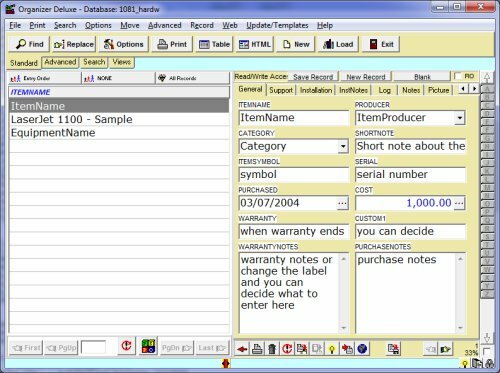 Manage hardware installation information including hardware details like name, producer, category, warranty information, ... support details, intallation details, maintenance log, and more.